This will display the Option Chain for the current active symbol. 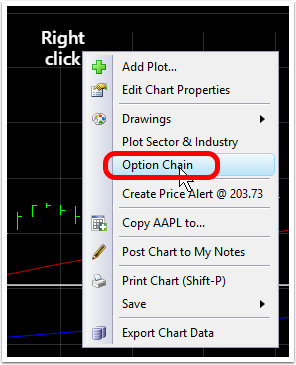 Click the symbol icon at the top left of the Option chain for the choice to display up to 10,000 options for a WatchList of stocks. 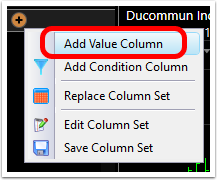 The WatchList automatically sorts by the column values or condition(s). The blue arrow shows in which direction the sort is ordered. 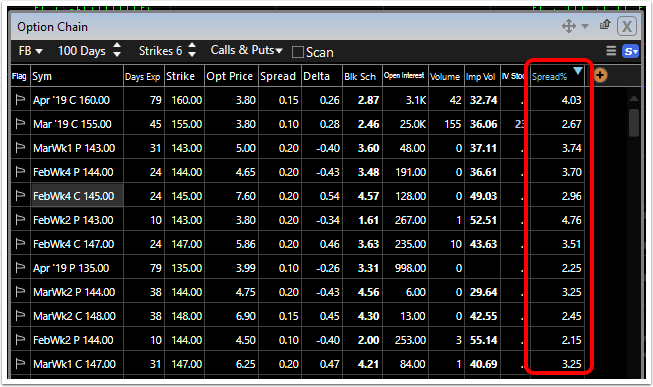 Descending order (1) will have the largest Bid/Ask spread percentages at the top of the list. 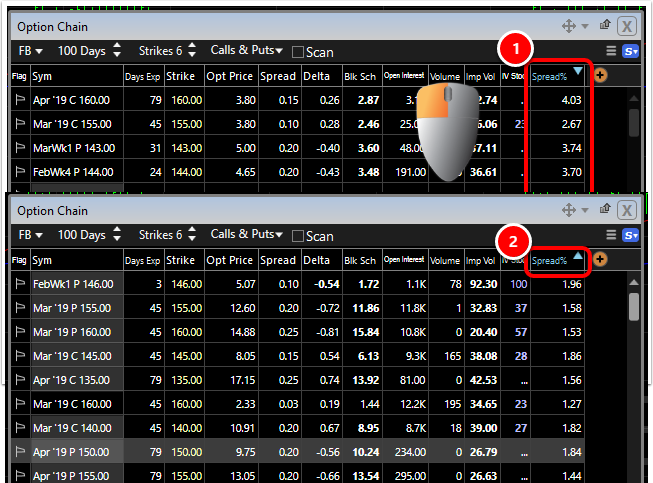 Ascending order (2) will have the smallest Bid/Ask spread percentages at the top of the list. Click on the Re-sort button at the bottom of the WatchList to manually refresh the current sort column and bring the results to current (according to the current service level). 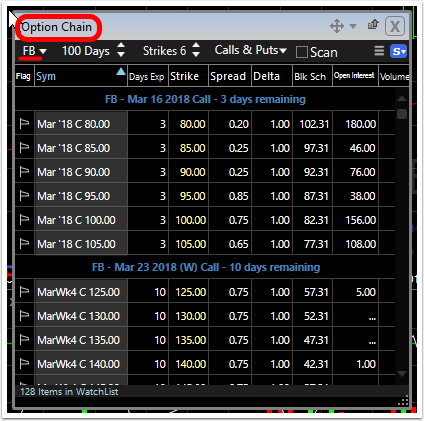 *All Bid/Ask/Mid spread plots, indicators, columns, etc., require the additional Real-time US Stock data feed for stocks and Real-time US Options data feed for Options.